GLOBAL ADVANCED RESEARCH JOURNAL OF PLANT SCIENCE (GARJPS) is a multidisciplinary peer-reviewed journal with reputable academics and experts as MEMBERS of its Editorial Board. GARJPS is designed for the prompt publication of peer-reviewed articles in all areas of the subject. The journal articles will be accessed freely online. 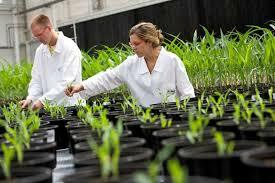 It covers from molecular biology and the chemistry of biological process to aquatic and earth environmental aspects, as well as computational applications, policy and ethical issues directly related to Biotechnology. Molecular biology, genetic engineering, microbial biotechnology, plant biotechnology, animal biotechnology, marine biotechnology, environmental biotechnology, biological processes, industrial applications, bioinformatics, biochemistry of the living cell, bioenergetics etc.